A social work manager has denied removing a vital document from the file of abuse victim Victoria Climbie. Angella Mairs also claimed she had never read the file, despite having been responsible for supervising the case. In written evidence at the inquiry into the schoolgirl's death, Ms Mairs said: "Lisa [Arthurworrey, Victoria's social worker]accuses me of removing the closure form from Victoria's file. I did not do this." Victoria had 128 separate injuries to her body when she died in February 2000 aged eight, after suffering months of abuse, torture and neglect. Her great aunt, Marie Therese Kouao, 44, and Kouao's boyfriend Carl Manning, 28, both of Tottenham, north London, are serving life sentences for her murder. Ms Arthurworrey had accused Ms Mairs last month of removing the form - which recommended that Victoria's case be closed - from the file on 28 February, the day news broke that Kouao and Manning were charged with murder. Ms Mairs began managing Ms Arthurworrey in November 1999. Both were suspended a month after Victoria's death pending a disciplinary hearing. Neil Garnham QC, for the inquiry, accused Ms Mairs of an "ostrich school of management, keep your head buried in the sand and don't see what's going on". He added: "It's a hopeless system of management if we don't look at files to test the way social workers are going about their jobs." Ms Mairs agreed with this suggestion. 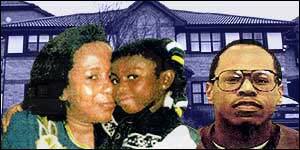 Ms Mairs said Ms Arthurworrey had told her Victoria had been referred to Haringey social services because of possible physical abuse. But she denied that Ms Arthurworrey had told her on 15 November that Victoria had been sexually abused. In the statement, Ms Mairs said she had advised that the child should be interviewed on her own, her bed-wetting be discussed with her GP, and a care plan be completed. Mr Garnham put to Ms Mairs criticisms previously made by colleagues at the inquiry that she was "autocratic", a "bully" and like a "headmistress with headgirls and others as the children". The situation within Haringey Council's social services department was described at the inquiry as not having changed since Victoria's death. Mr Garnham told Ms Mairs a memo written by social worker manager Rose Kozinos to the director of social services Anne Bristow in June this year detailed her concerns. It read: "This situation is untenable and there appears to be no improvement in sight. "This current climate, if not worse, is the mirror image of the working environment when Victoria Climbie died."